In my last post, we saw that the villains tried to run over Tintin using a Renault Celtaquatre. However, luckily he escaped. 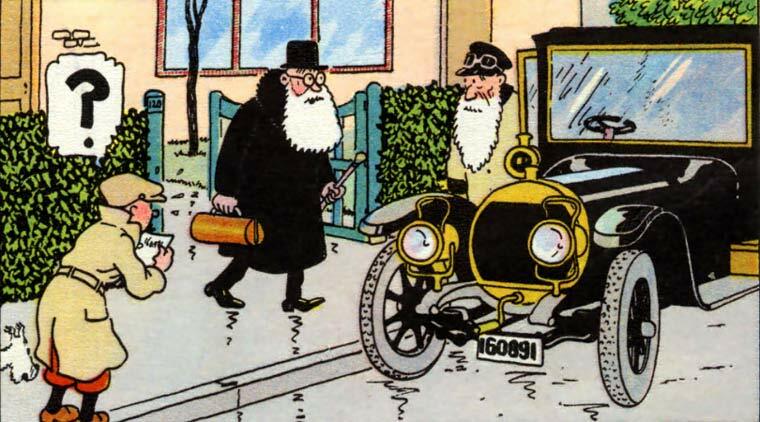 One of the gentlemen who helped Tintin up gave him the license number of the car that tried running him over. Tintin being the investigative journalist he is, decided to find the men who tried running him over. He found out the address of the person in whose name the car was registered and went ahead to encounter him. But, when he reached the address, he saw an old doctor ready to board a car which bore the same numbers which were given to him. The car was another French Vintage car, the Hotchkiss Type V.
I shall now give a brief of the company. 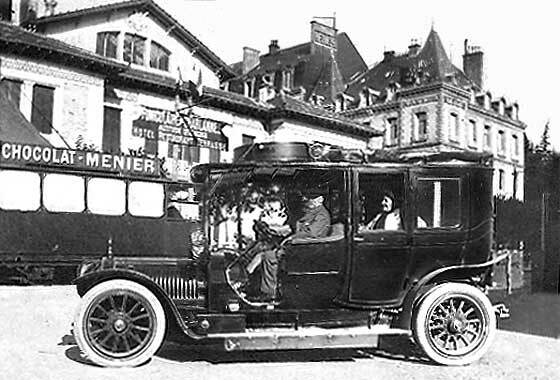 Hotchkiss manufactured cars in Paris from 1903 to 1955 with a brief interruption during World Wars I and II. The company also manufactured weapons, especially machine guns. In fact they entered the automobile business in steps. First they started building components for engines, followed by manufacture of complete engines and finally cars. 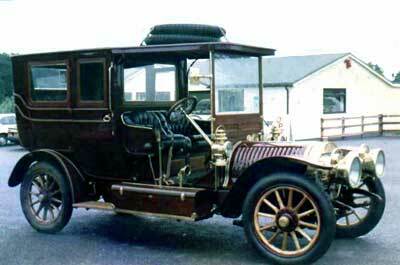 The company had acquired a Mercedes Simplex for “inspiration” and their first car was “inspired” by this car. The Hotchkiss Drive, which is a rear wheel drive system was developed by this company. This drive comprises a drive shaft that connects the driving gear box to the driven differential. The difference from other similar systems being that it uses universal couplings at both ends of the drive. This also allowed use of simple cross-type universals. This arrangement also allowed for rear axles to be positioned in a simple manner using leaf springs. This design was the most popular form of power transmission for most cars between 1920s and 1970s. This system is still in use in pick up trucks and SUVs. Advanced systems which need the propeller shaft to change the angle in between, like on a truck, use a third universal coupling at the required location. Hotchkiss briefly stopped production in France during World War I when it shifted its facility to UK. Production moved back to France in 1923 after the UK factory was sold to Morris. In 1936, the company introduced the 686 model which won the Monte Carlo Rallies in 1932, 1933, 1934, 1939, 1949 and 1950. Before World War II, the company was involved in the production military trucks and tanks for the re-armament of the French Army. However, after the fall of France, the company was taken over by the invading German Army for repair of vehicles. Under German control, using a law concerning taking over of Jewish businesses the company was taken over by Peugeot in 1942. However, the product lines were never mixed up. In 1944, the company again became independent after liberation of France. Within two years, the company was again producing trucks, cars and pickups. Hotchkiss also produced a version of the Willys Jeeps in France. The company merged with Delahaye in 1954. Production of cars stopped in 1955 with the company only producing jeeps. The company was taken up by Brandt in 1956 and then again by Thomson-Houston in 1966. It continued producing military vehicles till 1967 and trucks till 1971 and then ceased production thereafter. Coming to the vehicle depicted in Tintin adventure “Broken Year”. 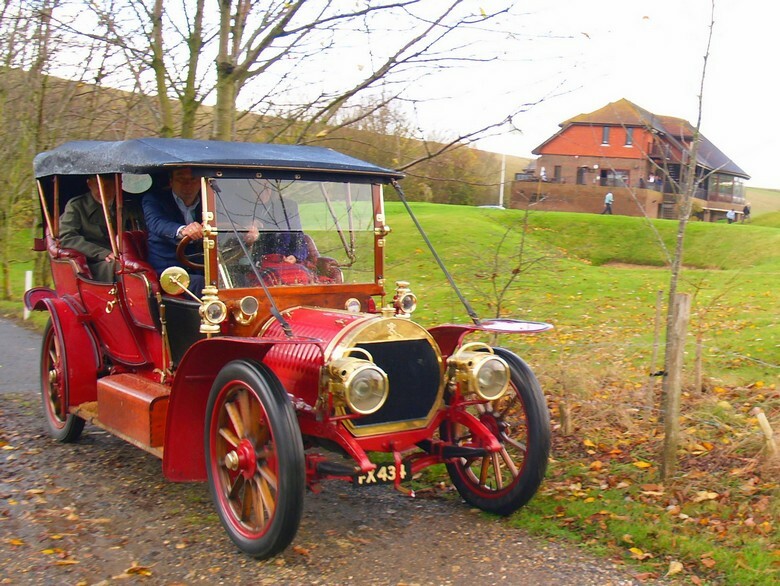 The Hotchkiss Type V was built in 1910. This car was powered by a huge inline six cylinder petrol engine displacing 9500cc. This was a water cooled naturally aspirated engine which used two valves per cylinder for breathing. The longitudinally placed engine drove the rear wheel using, what else, a Hotchkiss Drive. It was coupled to a four speed gear box. This was a huge car with 3350 mm wheel base. 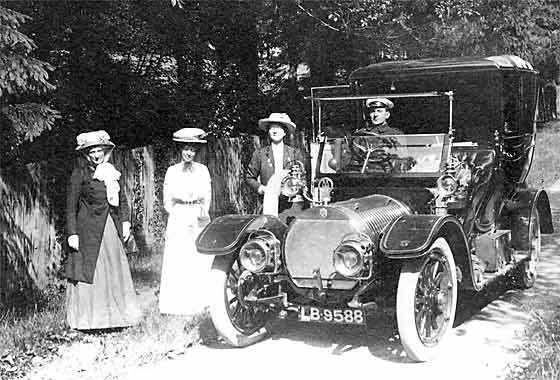 Though the exact output of the engine could not be found, it is understood that the car produced between 40 and 50 BHP. A good One Sir…Especially the way you started by linking tin-tin and cars….Details pretty intriguing! !